There’s gold, the color option, and gold, the precious metal. 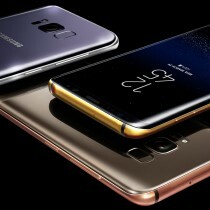 Truly Exquisite means the latter when it talks about its 24K Gold Samsung Galaxy S8 and Galaxy S8+. 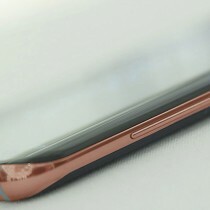 There’s also 18K Rose Gold and, for a more neutral color, a Platinum option. 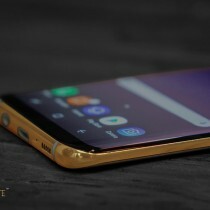 You can combo those noble metals with the Midnight Black or Orchid Grey colors from Samsung as those determine the color of the glass back - Truly Exquisite only gilds the metal frame, while the front is Black on all S8 color options. Anyway, you’re getting more than just a gilded phone for your £2,250 (without VAT) - yes, that’s how much they cost. You’re also getting a 24K Gold Power Bank, Luxury leather card holder, wireless charging pad and the usual Gear VR. All of that is presented in a fancy luxury wooden display box. You can choose between the Galaxy S8 and Galaxy S8+, keep in mind that both are the Exynos-powered versions with 4GB RAM/64GB storage. 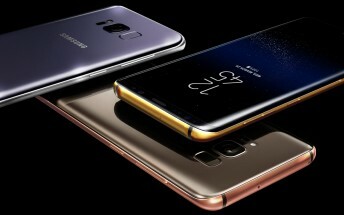 If you pre-order one, it will be shipped (for free and with insurance) 3-4 weeks after the Galaxy S8 launches in Europe, which is April 28. Hit the Source link if you’re interested and if you can write it off as a business expense, so much the better (again, it’s £2,250 without VAT).